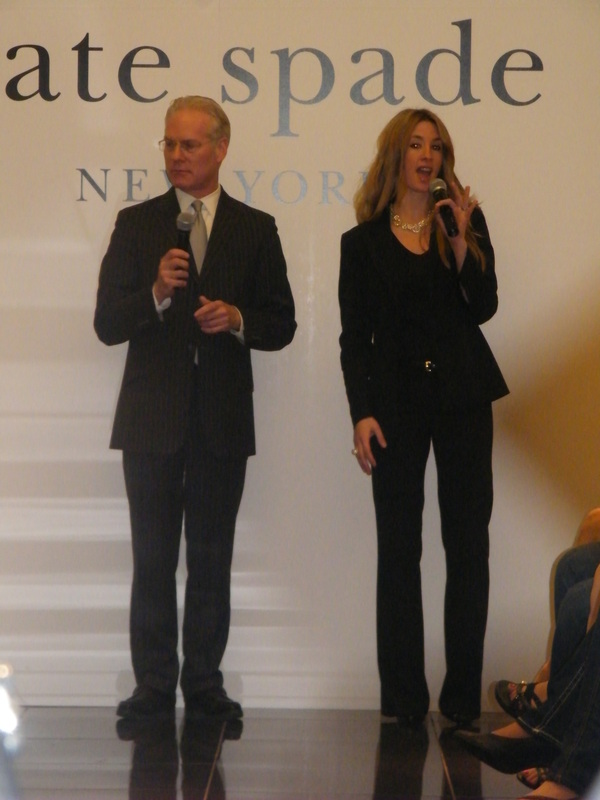 Reflection | Yesterday I saw Project Runway’s Tim Gunn and had a great time! Gunn was literally a feet away from me (I was in the second row). He hosted a Kate Spade fashion event in a rather intimate setting. I thought: Could it be the fashion God himself? Thanks to my reliable camera, I was able to capture some fabulous images of Gunn. Also, I was able to record video footage of him giving his signature fashion “dos” and don’ts,” as well as documented some harmless gossip about his thoughts on Project Runway cast members. I’ll try to post the footage in a later post. Gunn is just as nice in-person as he is on Project Runway; his attitude and body language is wicked consistent. And the man tells IT like no other! Seriously. If your style choices are questionable — he’ll question it — in a non-threatening, mellow tone of course.